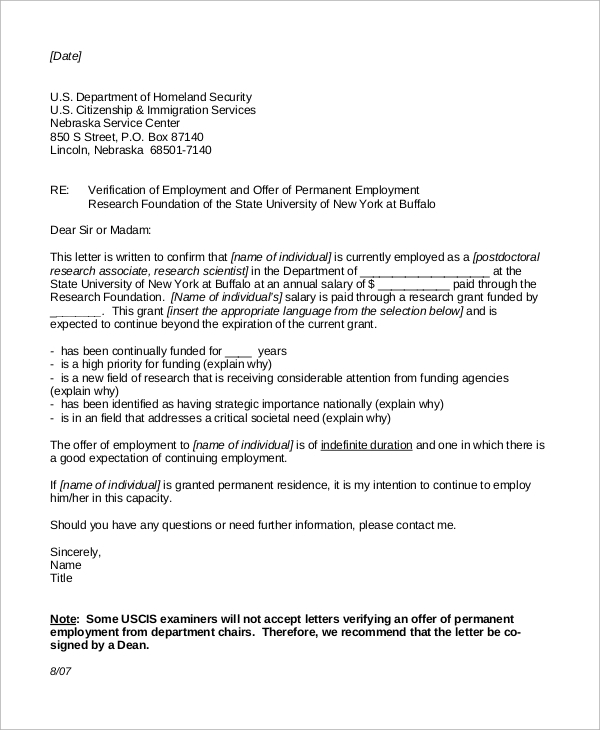 Are you searching a sample reference letter of employment? 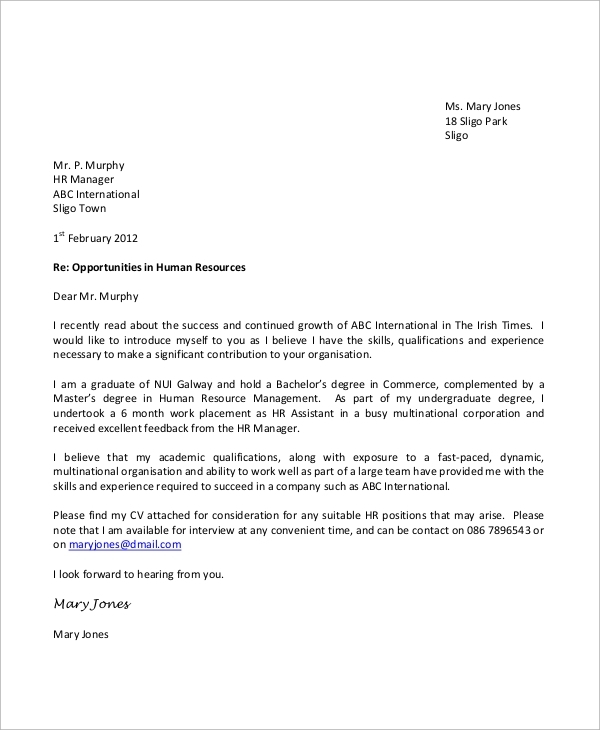 Do you need help in writing employment application letter? 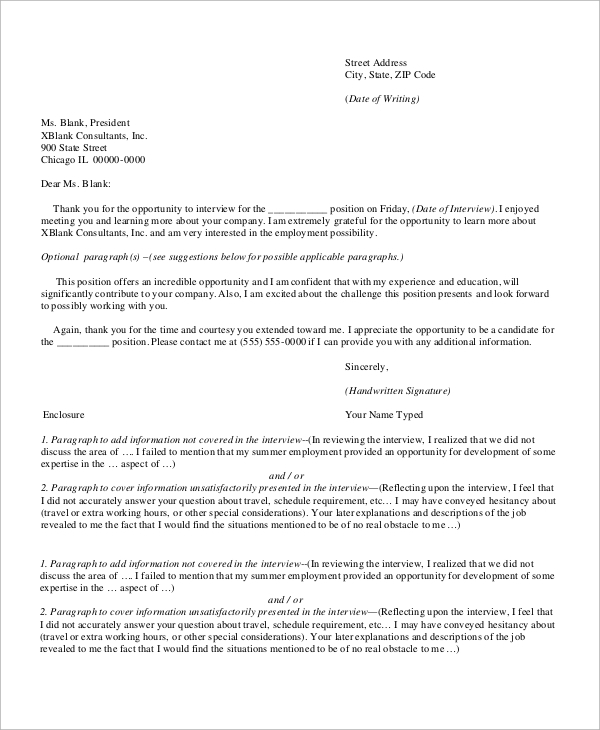 Is cover letter of employment writing a difficult job for you? Do explore our below list and get access to all kinds of employment letter including reference employment letter, recommendation letter sample, verification of employment letter, employment application letter, thank you sample employment letter, etc. 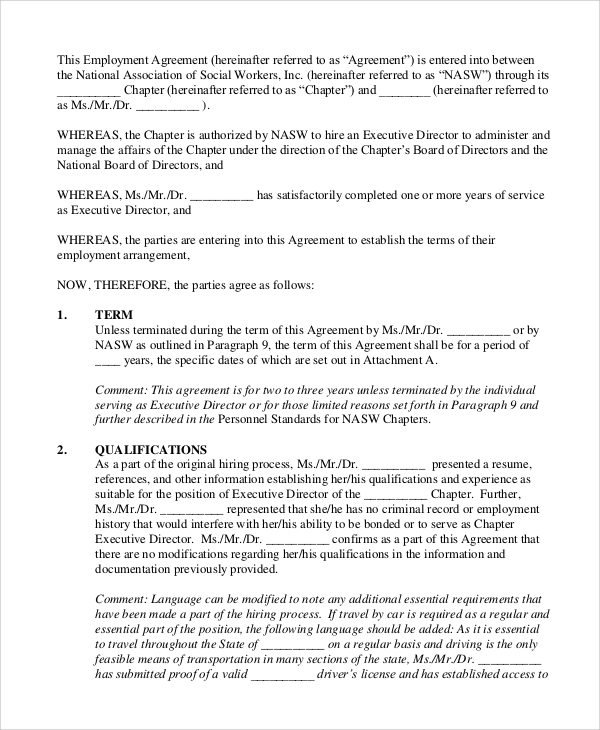 Download the necessary documents and get an idea of writing a custom employment letter. 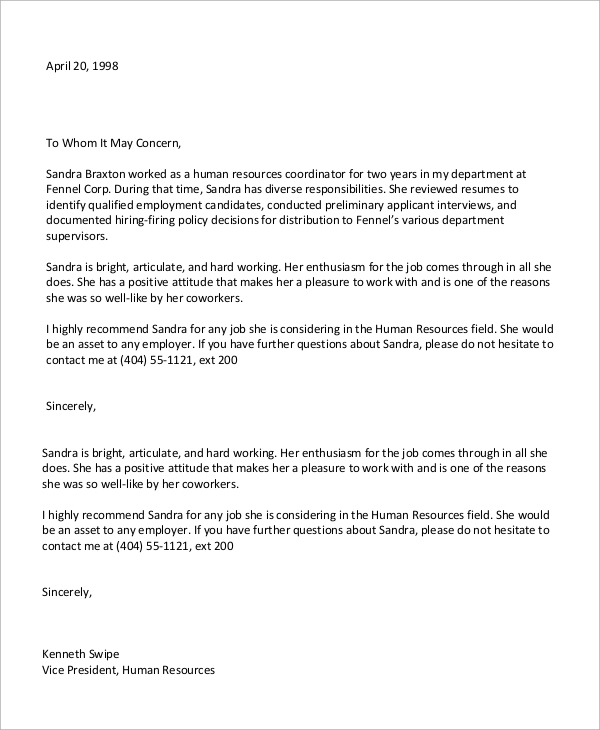 This document is helpful to employers writing a reference letter for a past employee. Supervisors, HR managers, and other authority persons can use it for reference. 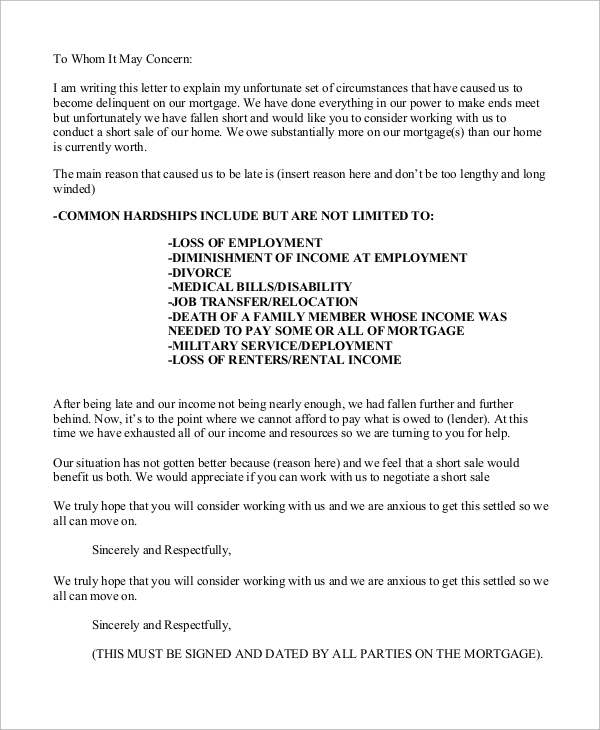 Download the document and print it. 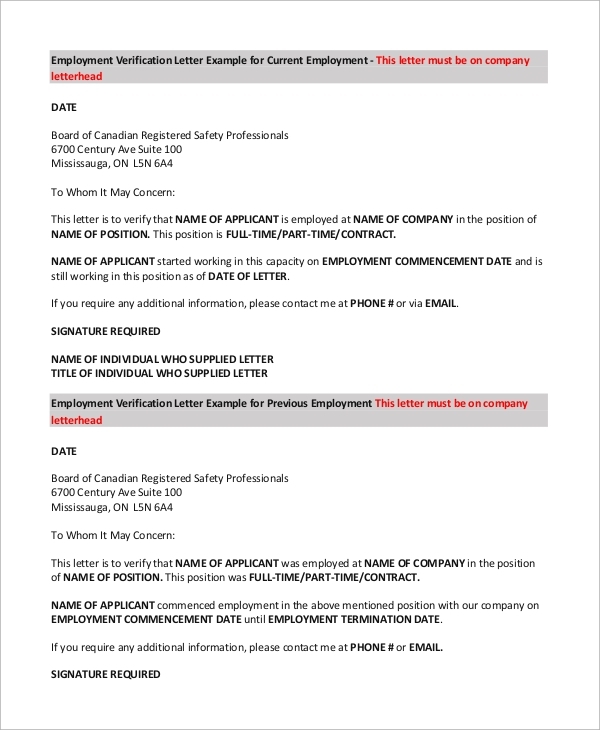 Do hand customization and prepare custom certificate employment letters. 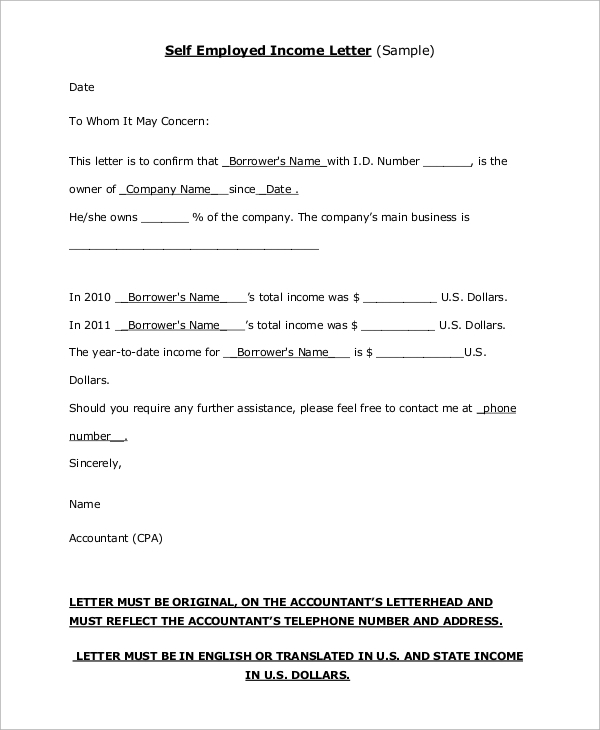 These letters are also known as experience certificate letters. 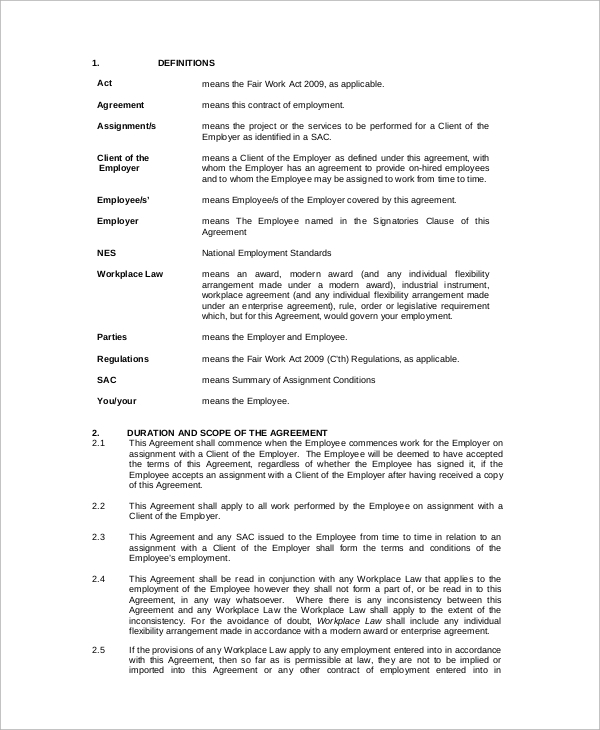 Sample contract of employment is an MS-word document. Open it, start customization by filling the appropriate input mentioned in the large bracket box. 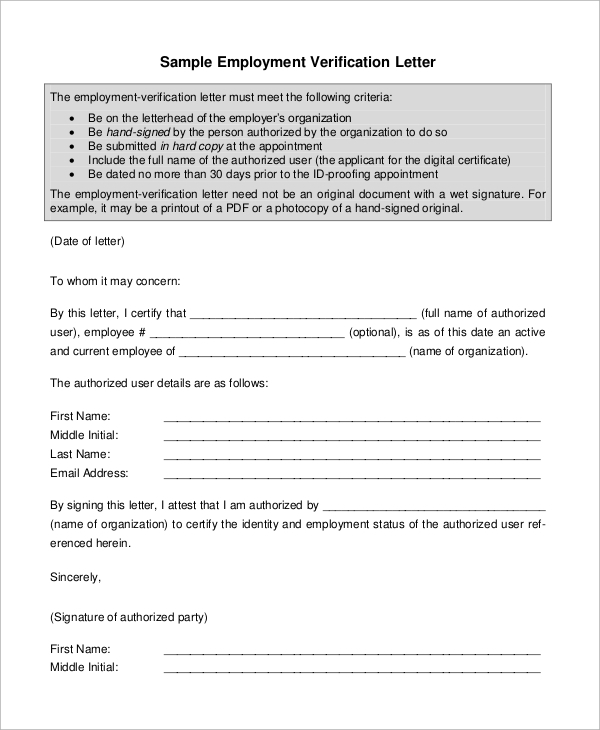 An employer can use it for signing a custom employment letter with new individuals. 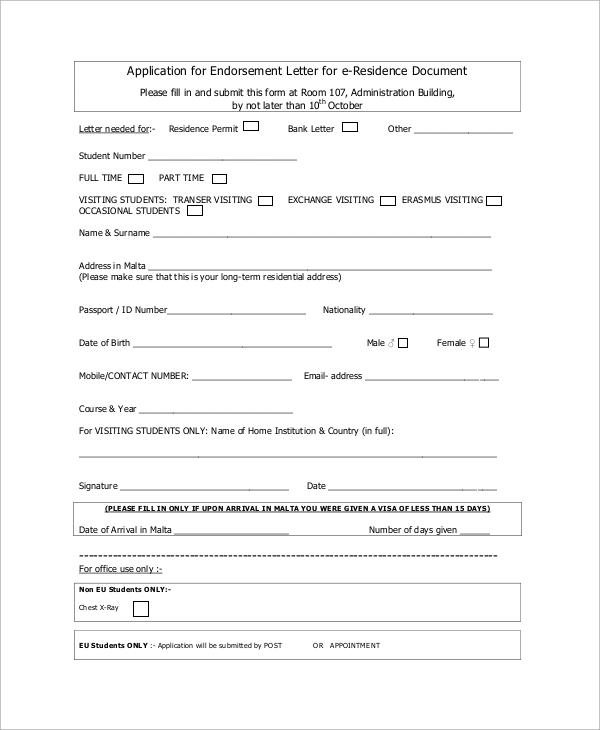 Applicants can take reference of this document to write and format a custom cover letter that appeals the employer. Also, it helps in making professional resumes. 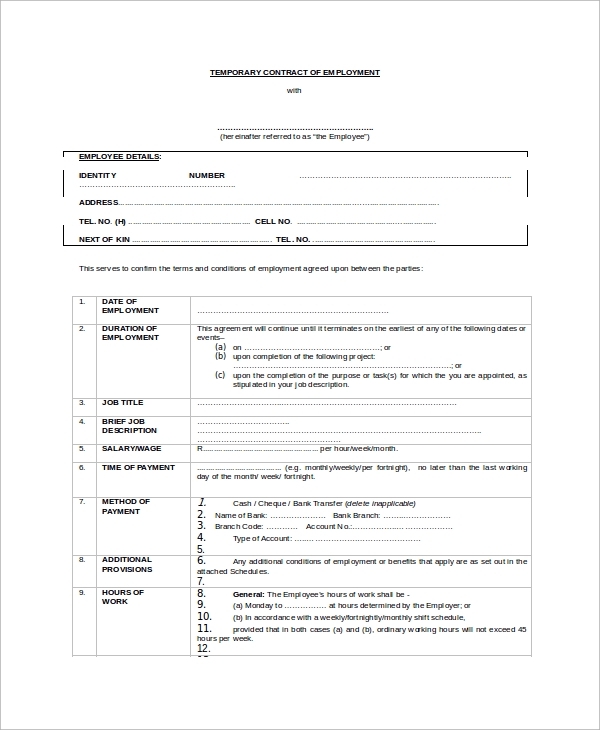 This document is the perfect example for drafting and plotting custom employment application form. Do analyze the document and add necessary input fields for detailed analysis of applicants. 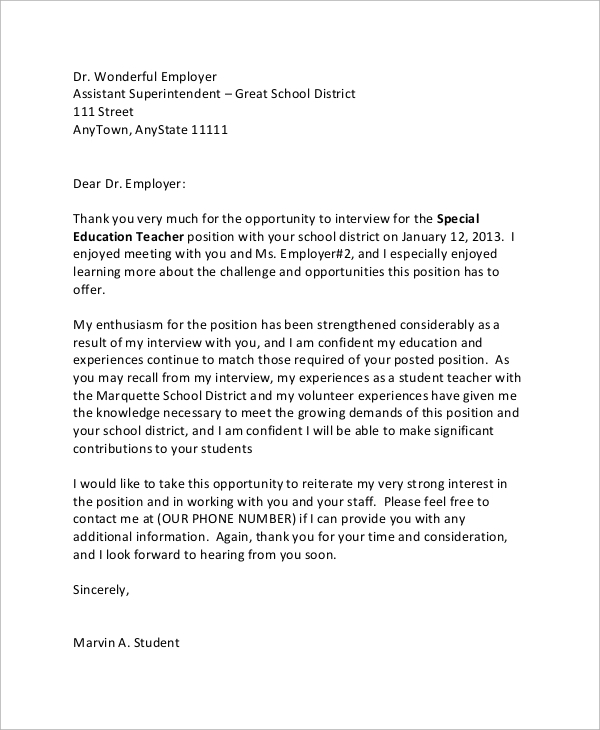 This document will make the task of writing a letter of recommendation, a simpler work. Do read the sample endorsement letter and learn writing professional letters for endorsing individual’s skills, and qualifications. 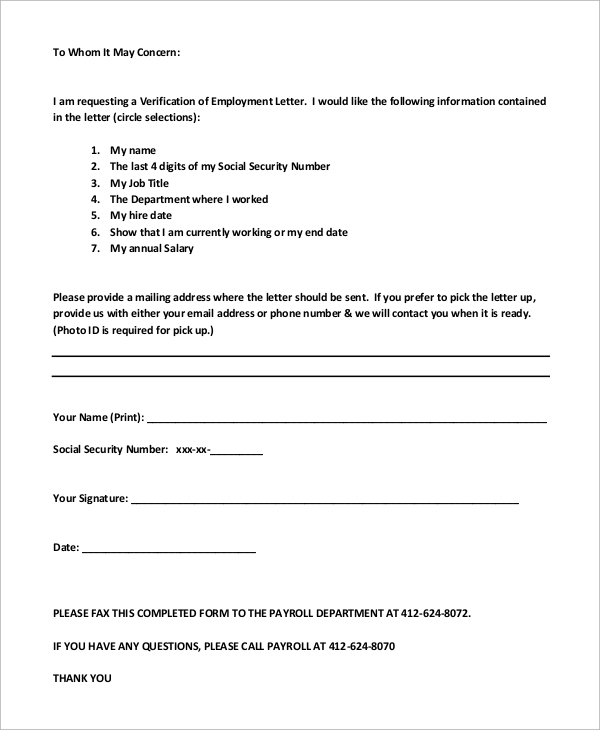 If you have hired a new executive and needed to sign an employment agreement, then download this document. 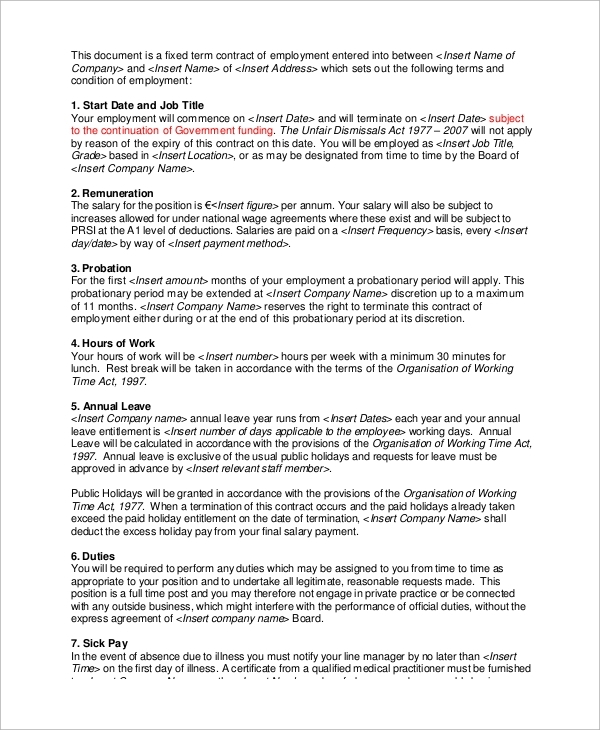 Print the PDF, fill basic inputs, and ask the employee to read and sign it. If hardship letter writing and drafting is a bit difficult task for you, then this document will make your task easier. 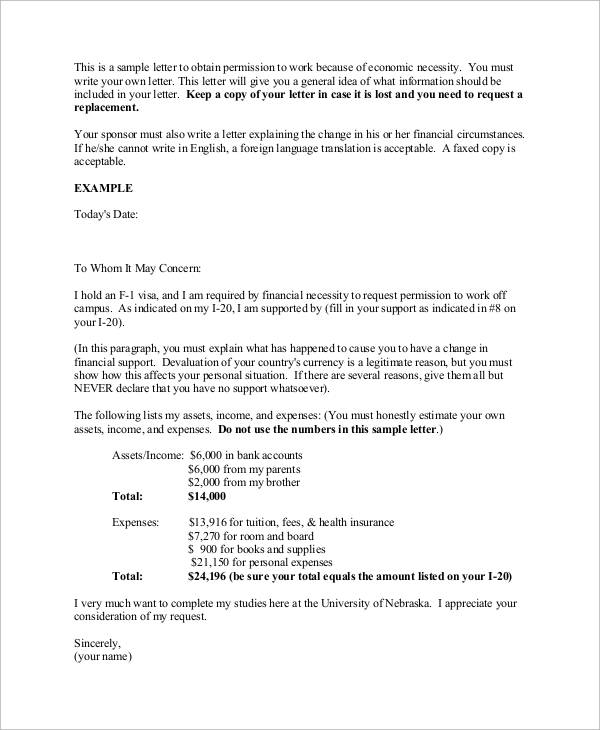 Download the sample hardship letter and analyze it for writing custom hardship letters. 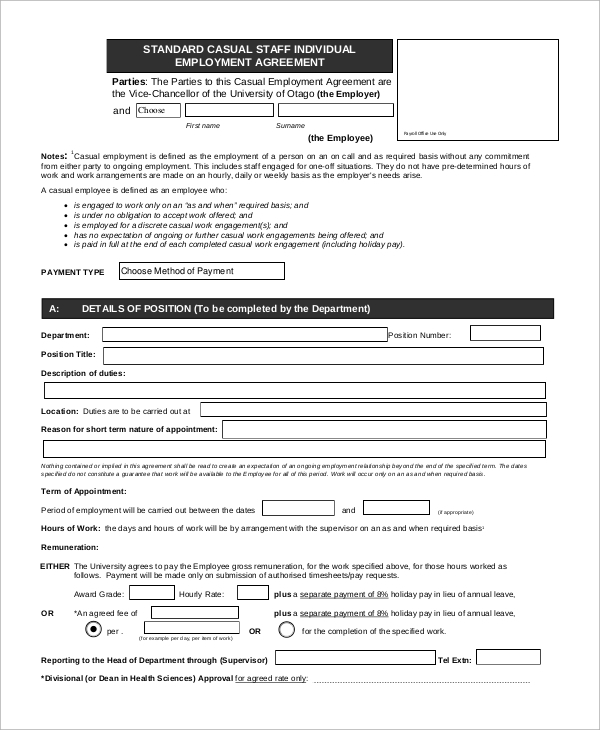 This document is helpful for signing temporary and part-time contracts with applicants. 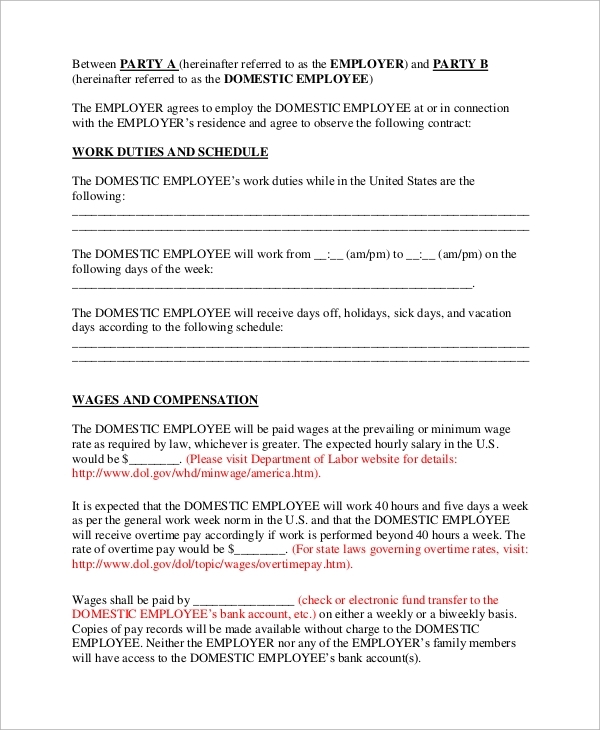 Download the PDF, customize it by filling necessary details, print it, and make custom agreements with fresh employees. 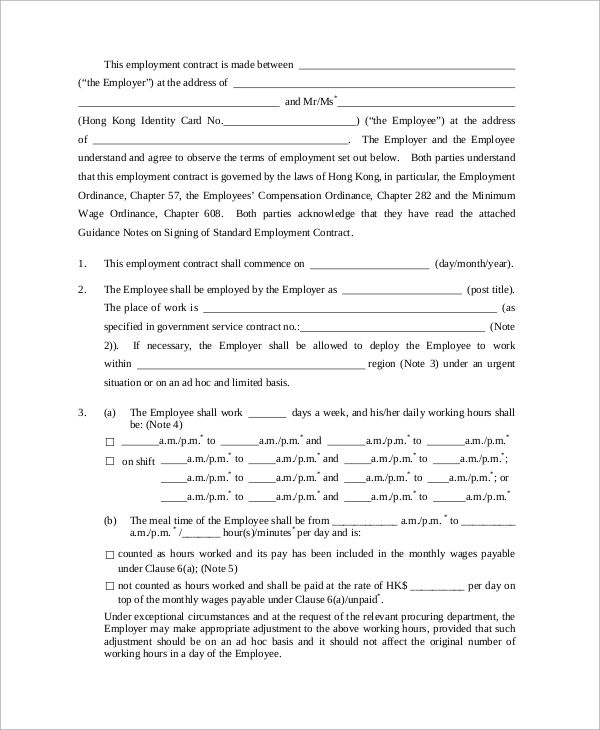 If you have hired an employee on an hourly basis and needs a ready-made agreement for signing an employment contract, then download this sample hourly employment agreement. 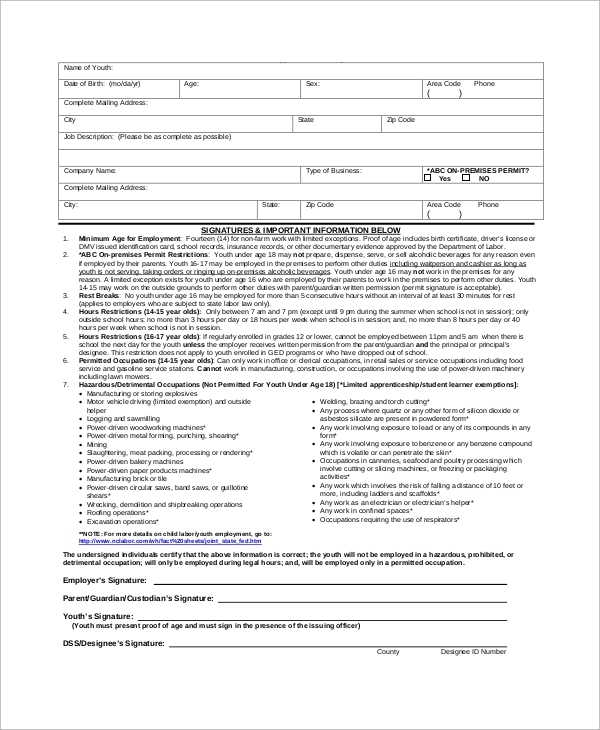 Print it, add basic details and sign contracts in minutes. 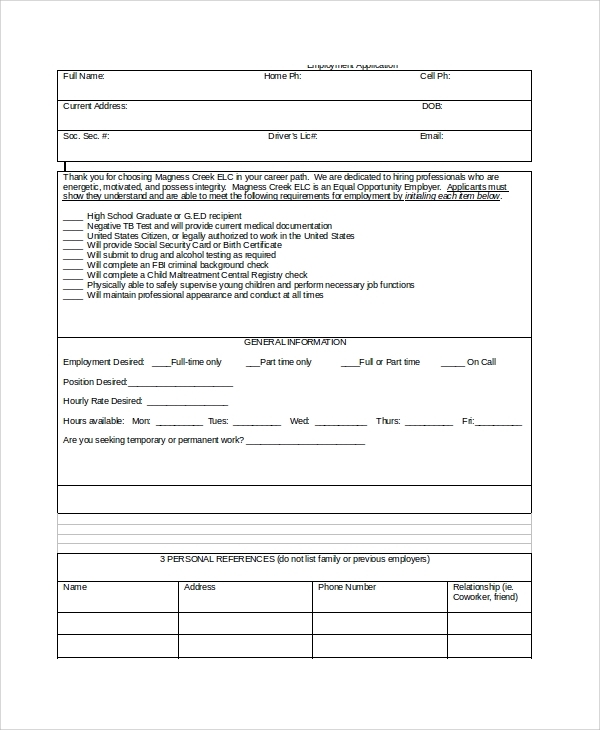 This document is a blessing for supervisors, HR managers, and employers that help in formatting and writing a custom letter of employment. 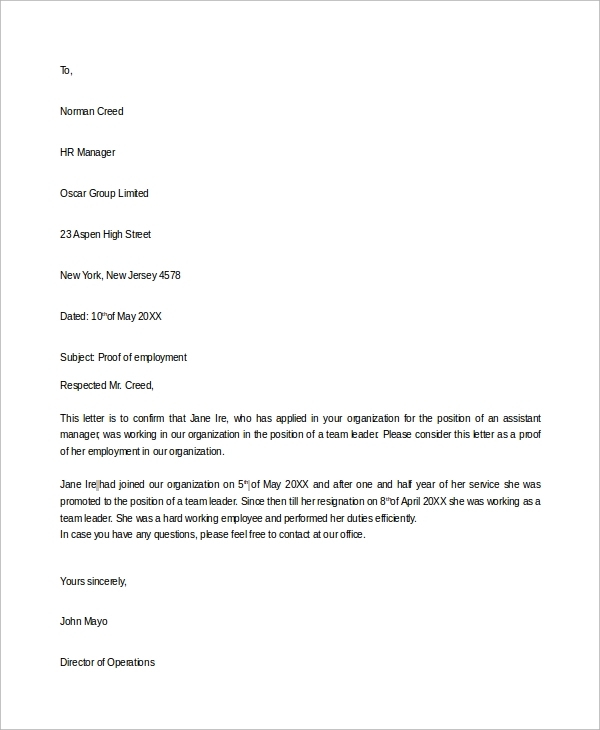 Open the document and get access to sample employment letter for a brief analysis. 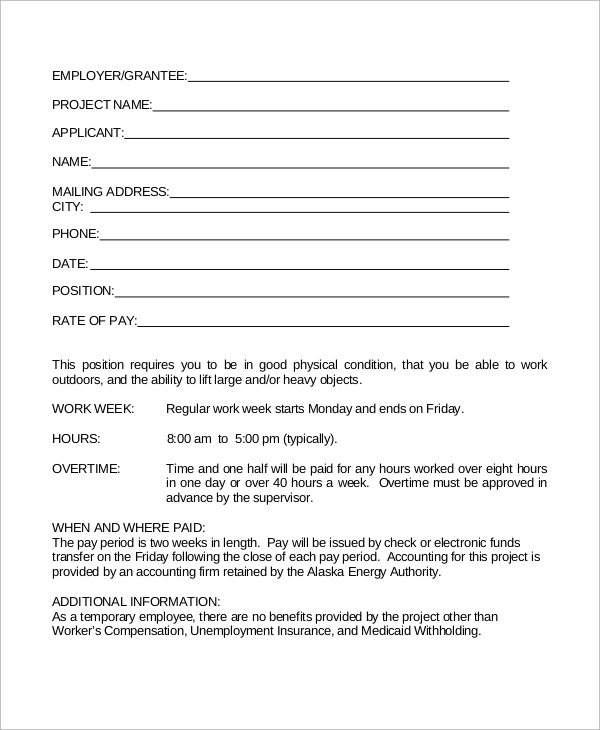 Employers can use this MS-word document for quick customization to prepare an individual proof of employment document. It is available free to download. Also, it supports all MS-word versions. 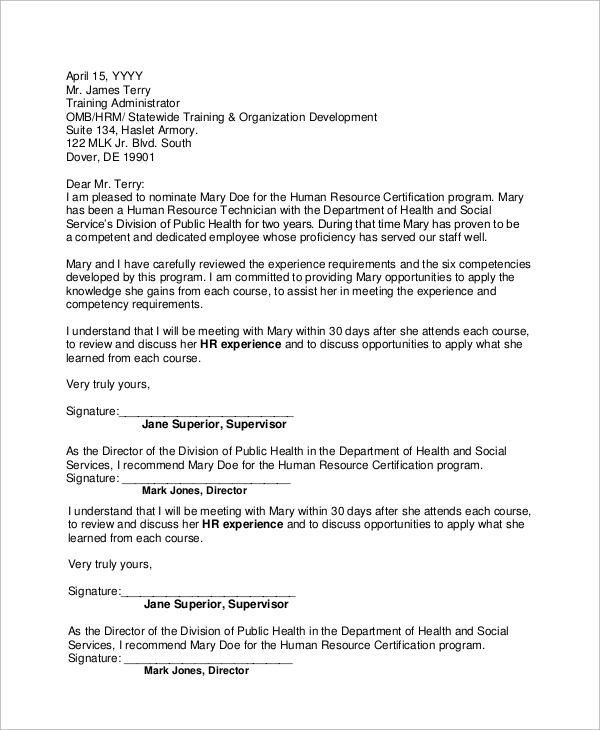 Employers, supervisors, and colleagues can use this document for writing custom recommendation letters. 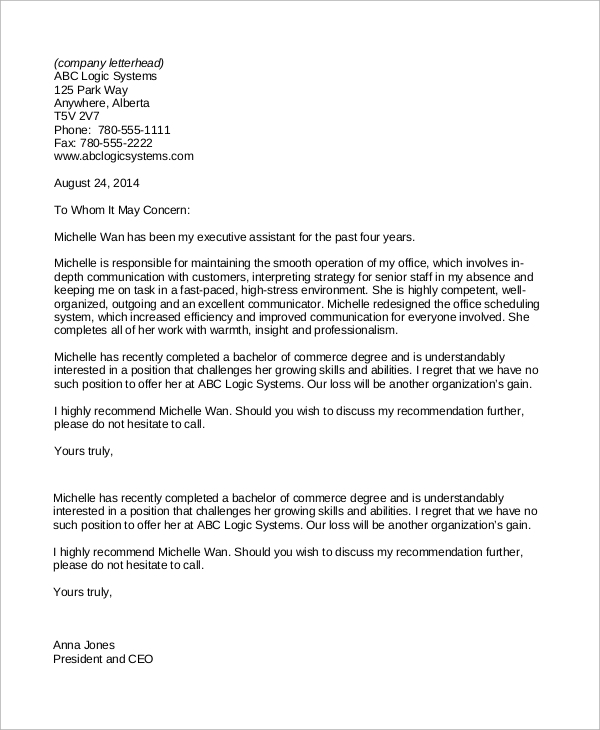 Do analyze the format and copywriting for writing a professional letter of recommendation. 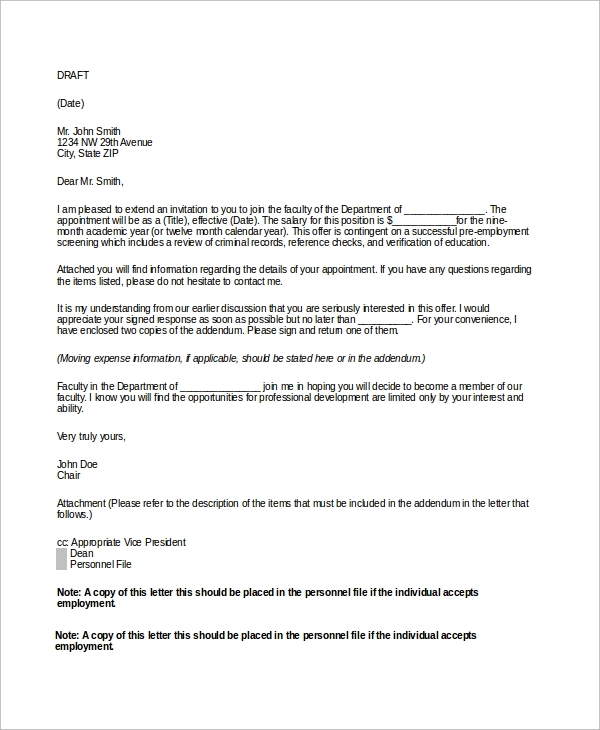 University deans, professors, supervisors, colleagues, HR manager, and other office head can use this sample letter for writing custom reference letter of employment. Writing a referral letter requires a decent tone with professional copywriting content. 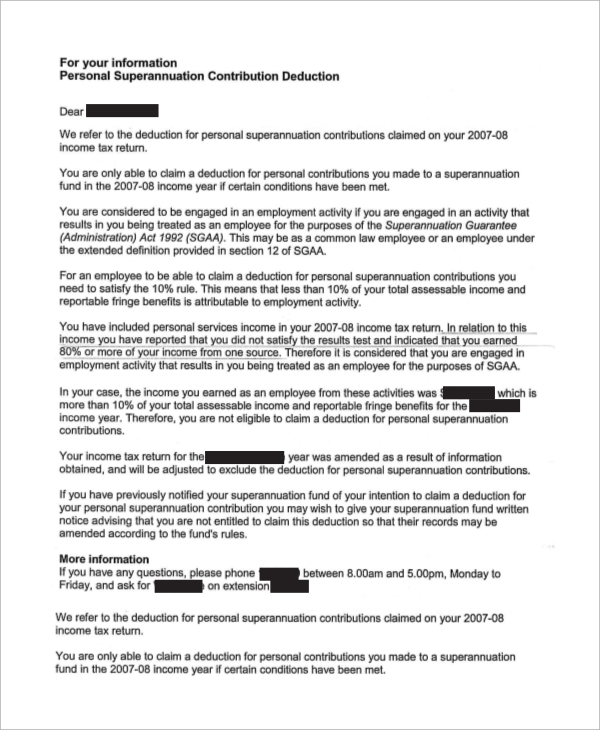 This document contains a sample letter of employment for reference. Do read it for writing custom referral letters. 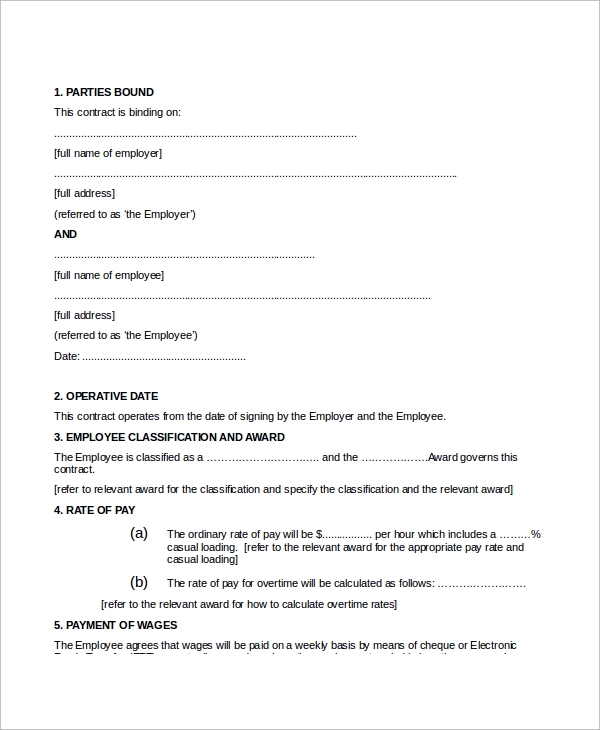 This sample contract is a readymade employment contract available for employers. You can either print it for hand customization or prepare a custom document using the reference. 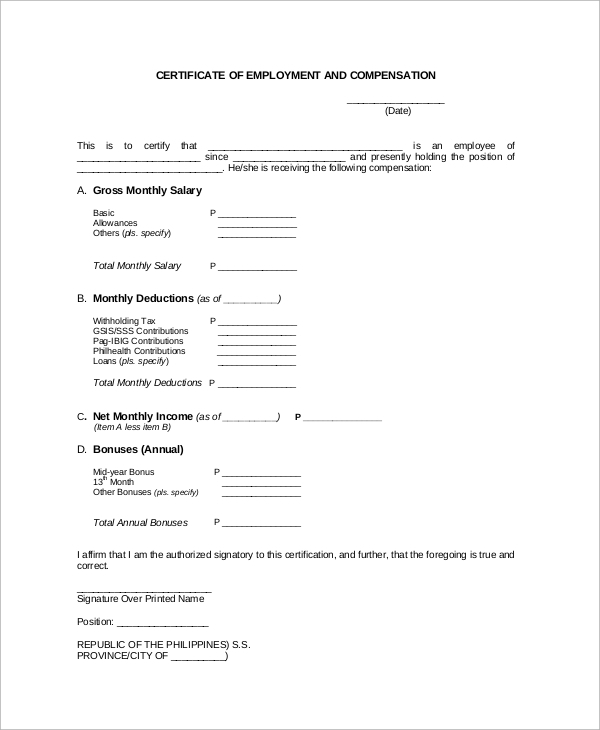 If you have hired a freelancer and he/she has asked you to write an employment letter for him/her, then use this sample document for writing a custom self-employment letter. 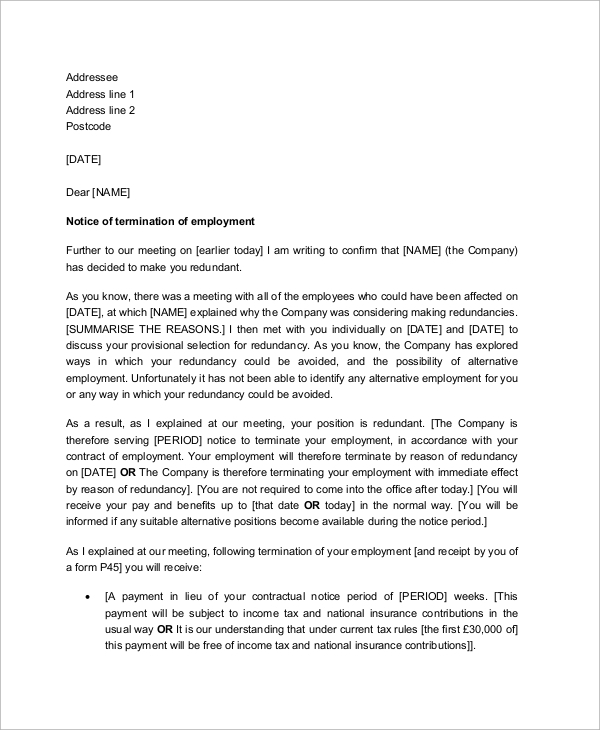 The termination letter is a notice of dismissing an individual’s employment. 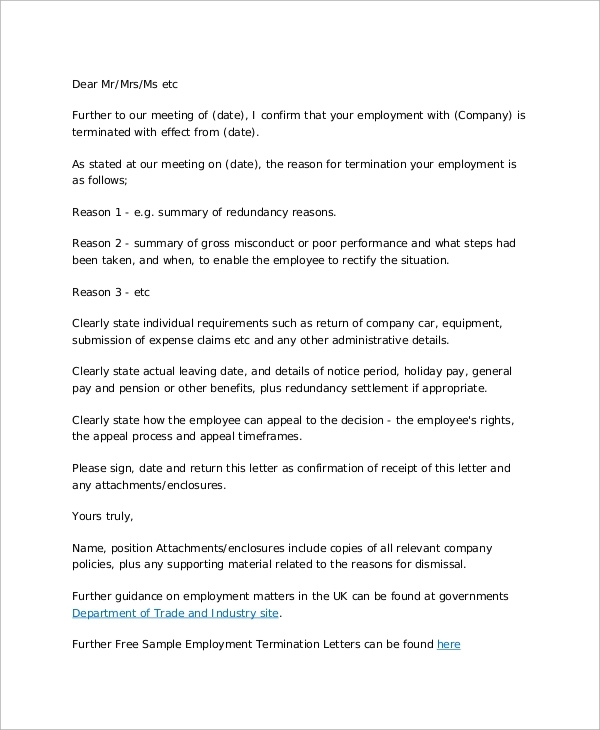 If you need assistance in writing a custom termination letter, then download the document to read sample letter of termination. 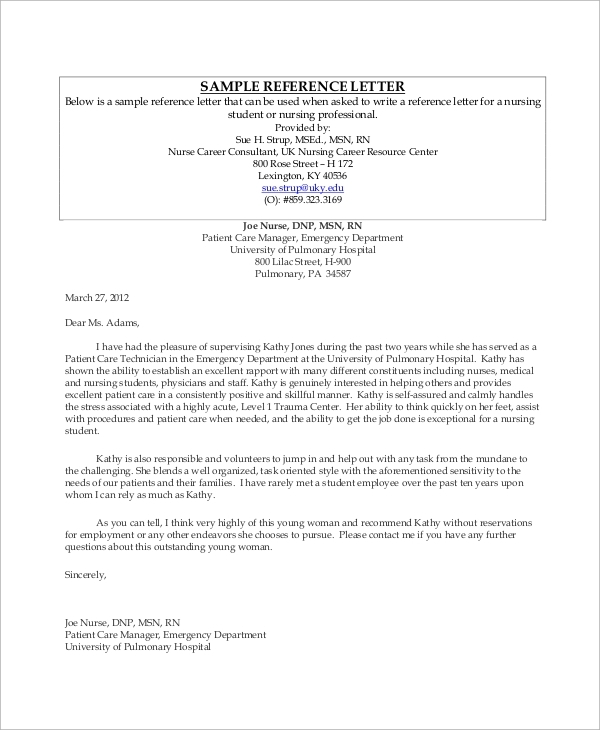 If you are writing a thank you letter to the employer for offering job opportunity, then refer this sample document for writing a professional thank you note. 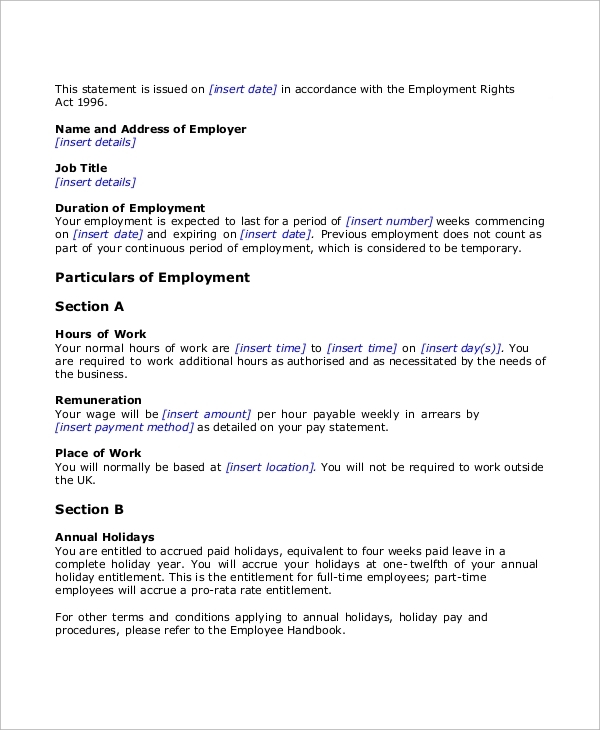 Do download the MS-word temporary employment contract sample and customize it for preparing custom temporary employment contracts. After customization, print the document for signatures. 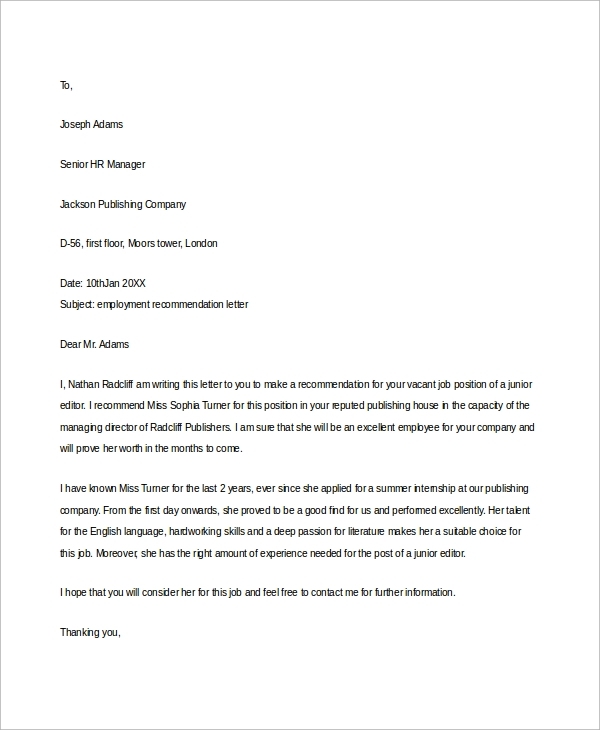 If an employee has asked you to write an experience letter or job verification letter, then do refer this sample verification of employment letter to write a professional letter using professional letter format. 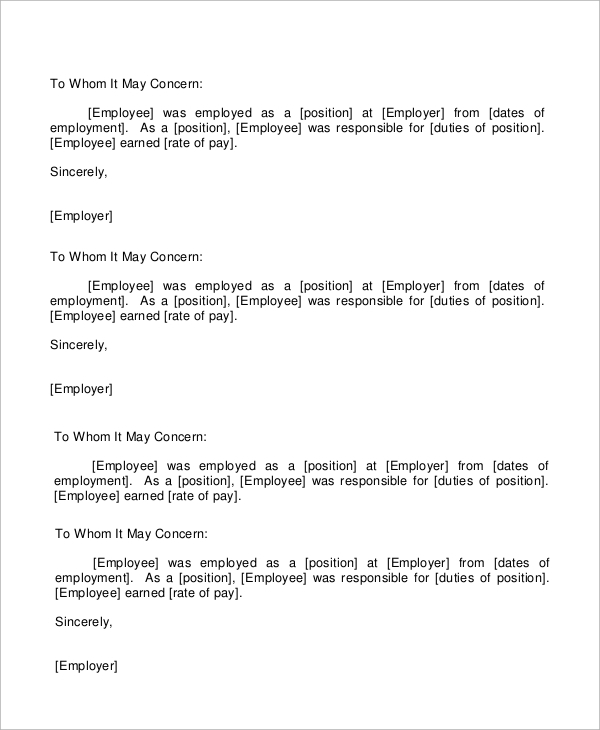 The purpose of employment letter writing differs with the type of letter of employment. 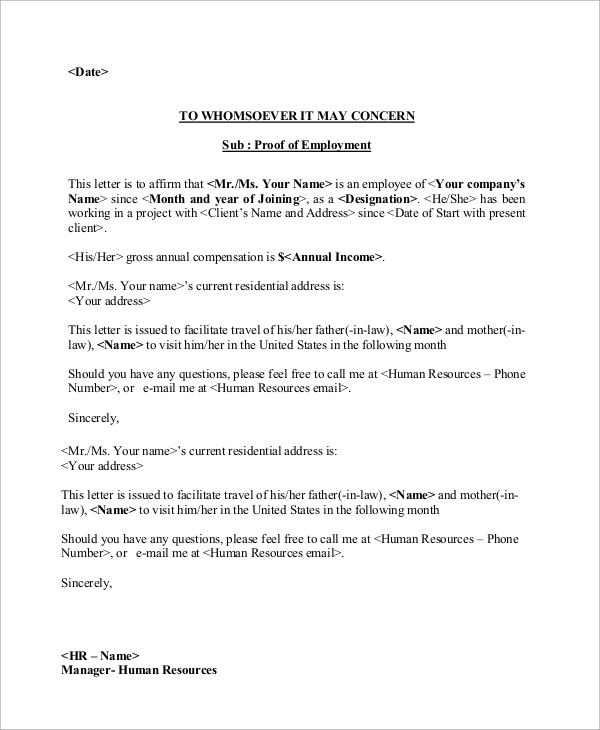 A reference employment letter is used as proof that whatever the applicant has mentioned, is right. The purpose of a cover letter is to communicate with the employer and explain how you are perfect for the particular job position. 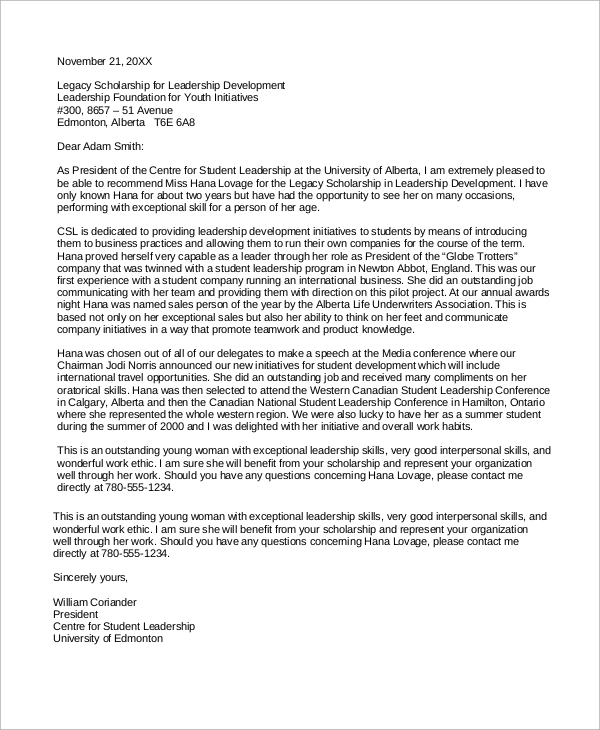 A Thank You letter of employment is used to thank the employer for offering the opportunity. 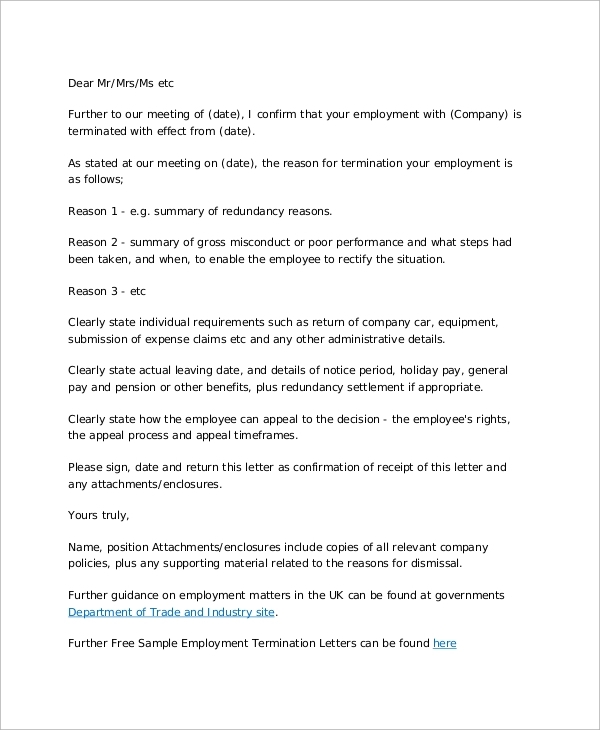 The purpose of writing termination letter is to explain the reason to the employee behind his/her termination. The purpose of the employment contract is to sign an undertaking by the employee that he/she has agreed to follow employer’s term. It reduces the risk future disputes. We hope our above list has covered all kinds of sample employment letter documents. 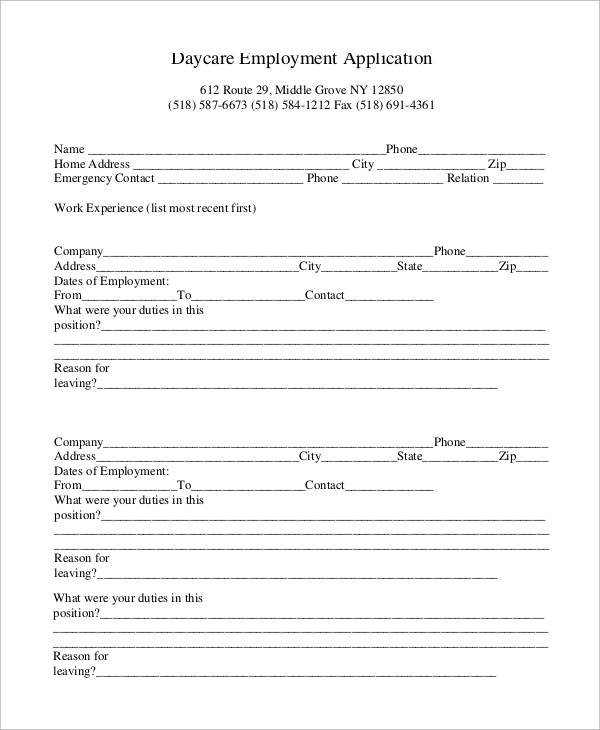 Also, you can contact us if you need employment letter samples for a particular job position or industry. We will do research and present it as soon as possible.